I have to be honest with you all about something, I have absolutely no idea what gluten is. Nada. None. Zilch. I know that people with Celiacs can’t eat it, I know that it’s in pizza & beer, and i know that to get products without it costs you almost double your money. Beyond that, what exactly gluten is is a complete mystery to me. Once I found out it was in flour and that basically everything delicious in the world is made of it, I counted my lucky stars that I’m not intolerant of this mysterious compound. (Is compound the right word? Is it an element? who knows!?) However, two of my very good friends are. Intolerant, that is. In honor of them I decided to incorporate some flour-less baked goods into my repertoire. 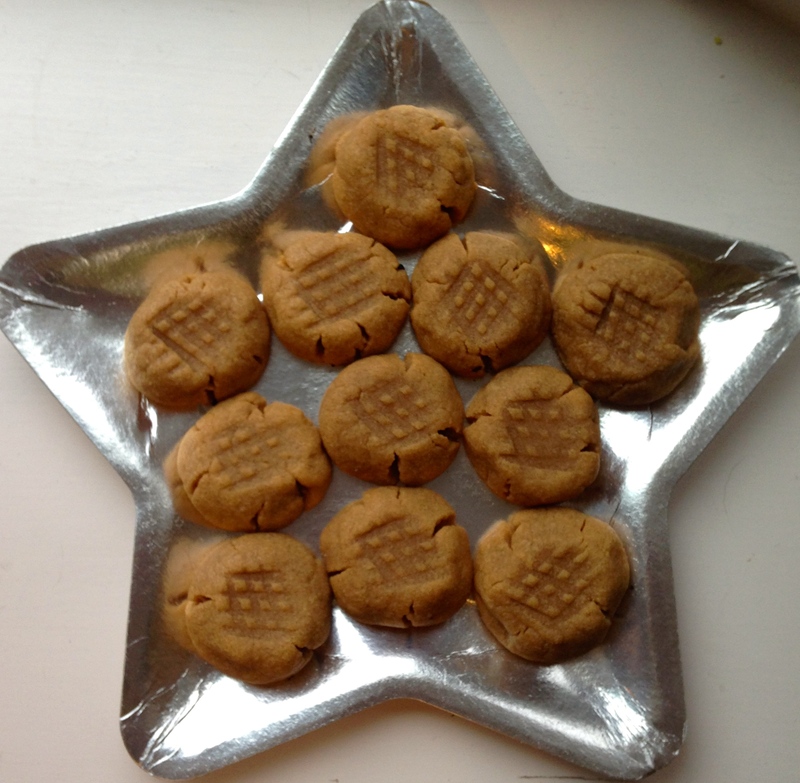 After doing a bit of searching around on the interwebs, I discovered that for flour-less baking to successful (and delicious), peanut butter needs to get involved. Okay you guys, I’m about to drop another bomb on you – I hate peanut butter. Fortunately, these cookies weren’t for me so I decided to go ahead and make them anyways regardless of my interests. I’m not the gluten-free one here, this project was not about my own desires! Here’s the thing, I don’t own regular peanut butter. 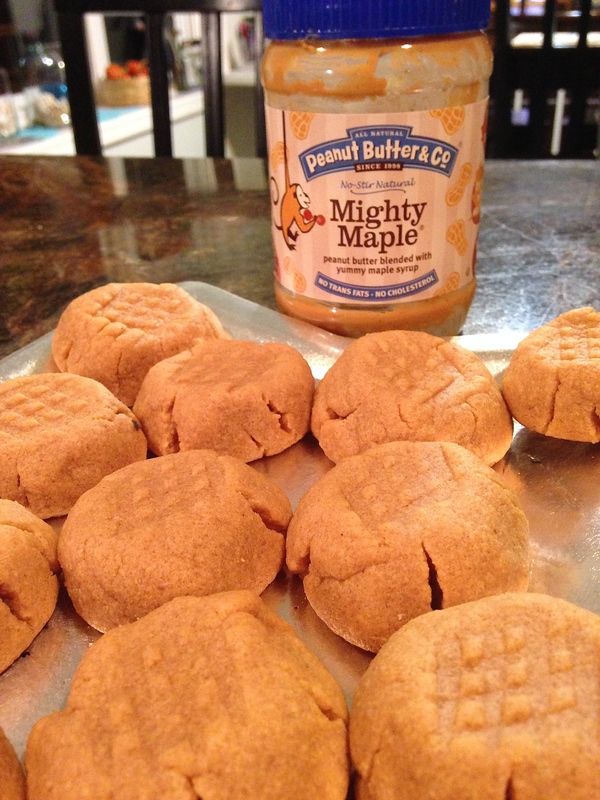 The only peanut butter that I have is Mighty Maple peanut butter from Peanut Butter & Co. While I hate regular PB, this company’s flavored stuff is much more tolerable and I can actually be found eating it from time to time. That’s the secret ingredient to this cookie – it’s what gives them the subtle (and wonderful) maple-y aftertaste. The results of this gluten free adventure were wildly successful. The cookies didn’t last long at work, and people who didn’t even care about gluten free baking were munching down on these things like they were the best cookies in the world. (Actually, I was told that they might be!) Honestly, I think because I decided to go flour-less instead of using a replacement flour, these cookies are accessible to a number of crowds beyond just the gluten free folk. My only recommendation would be to double the recipe, otherwise the cookies won’t last long!